Jonathan Reid isn’t your average doctor. 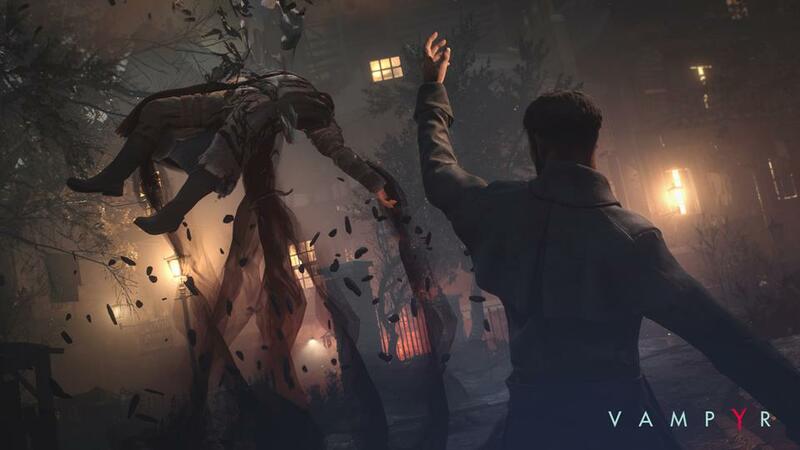 Dontnod Entertainment’s Vampyr has received a new trailer, one of murder and grim occurrences, along with a release month of November. Check it out below. Players take on the role of Jonathan Reid, a doctor who is cursed to live as a vampire. Jonathan is capable of feeding on those around him and forging relationships to make the task easier. However, this comes into conflict with his humanity and Reid can choose to not feed on anyone at all. The trailer showcases the different lives that he leads along with highlighting some of the other beasts – and the vampire hunters – inherent in 1918 London. Vampyr is an action RPG in development for Xbox One, PS4 and PC. It features a semi-open world hub and is handled by several people who worked on Life is Strange, Dontnod’s hit adventure game. It will be at E3 2017 so you can expect actual gameplay to emerge. What are your thoughts on the trailer? Let us know in the comments below and stay tuned for more information.